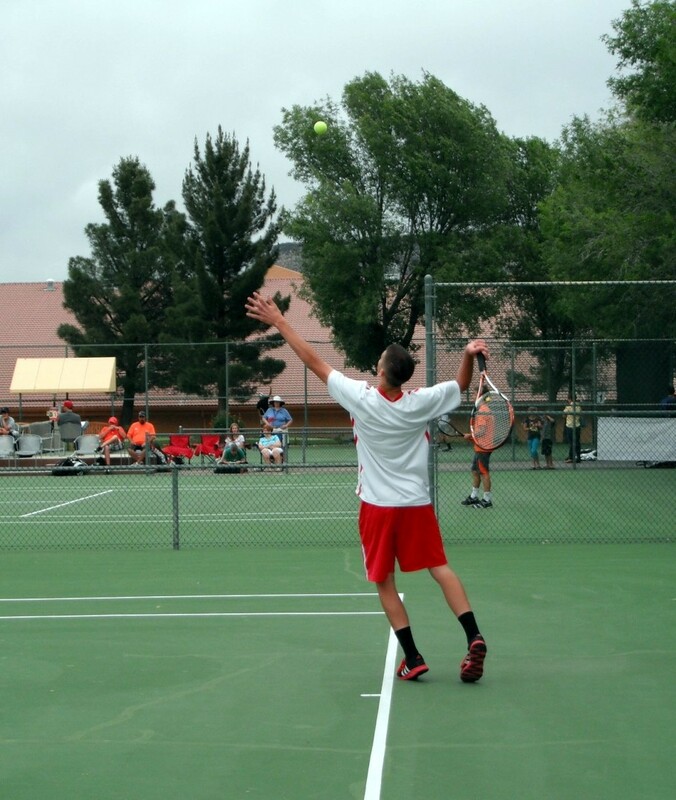 ST. GEORGE – Boys’ tennis teams from 23 high schools across Utah, including Region 9, swarmed local courts on Friday and Saturday to compete for the 3A State title. 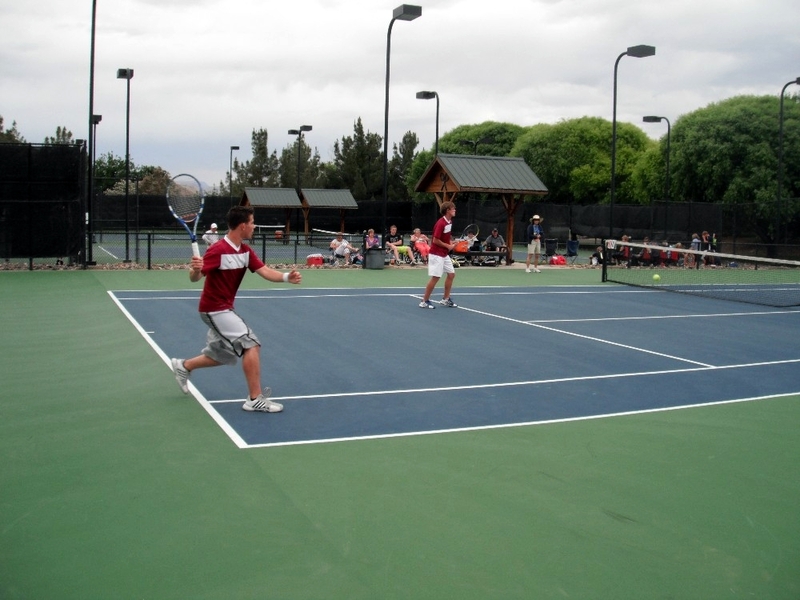 For the first time in over five years, State was held at the Green Valley Spa and Tonaquint Tennis Center in St. George, rather than its usual home courts at Brigham Young University. The change from Provo to Southern Utah was welcomed by some — especially Region 9 teams — and met with skepticism from others. 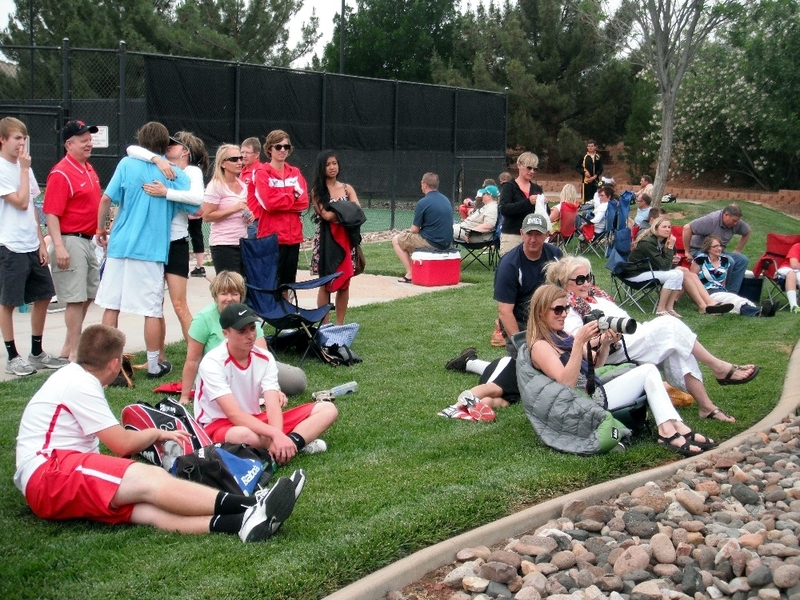 Natalie Meyer, a Utah High School Activities Association official and the tournament director, said that the main reason for the relocation was weather. 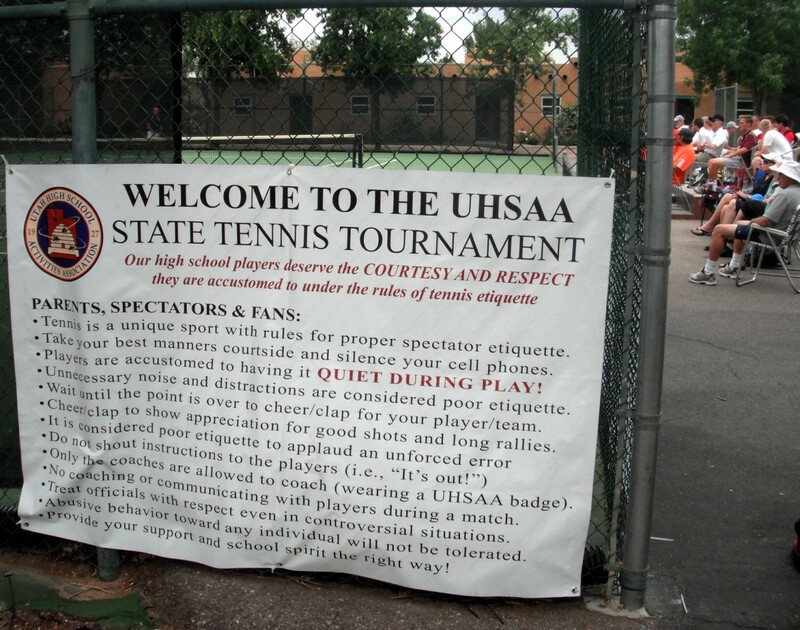 Rain has delayed play at State the last two years, causing confusion and hassle for players, coaches and officials. 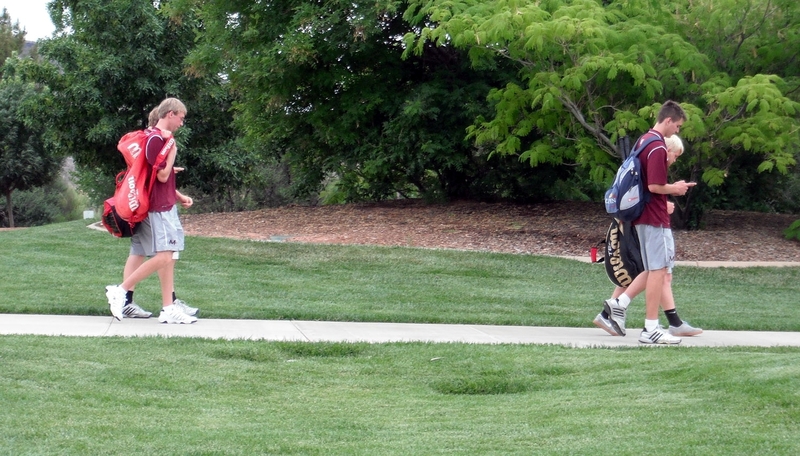 Concern of a repeat grew when clouds gathered Friday morning and a slight wind kicked up, especially at Green Valley. 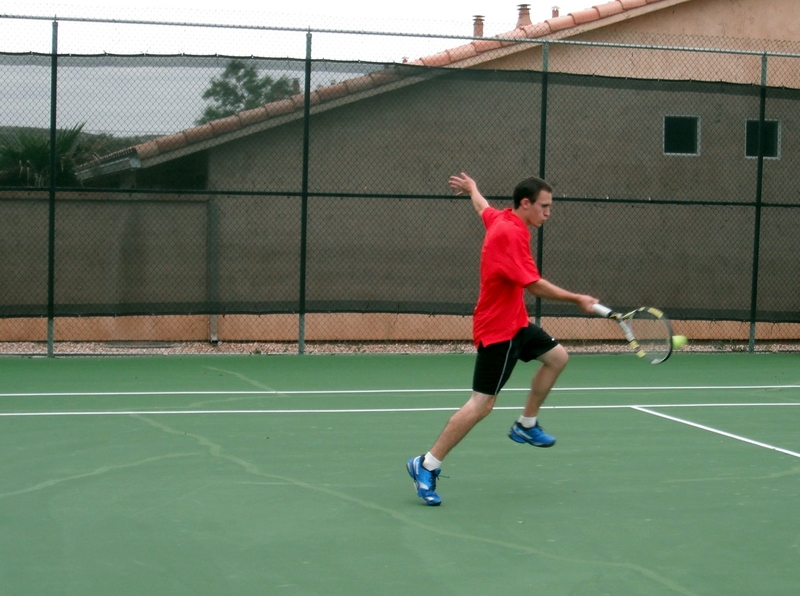 But the rain held off throughout the entire tournament, and the hard-hitting youth seemed to be unfazed by the breeze. 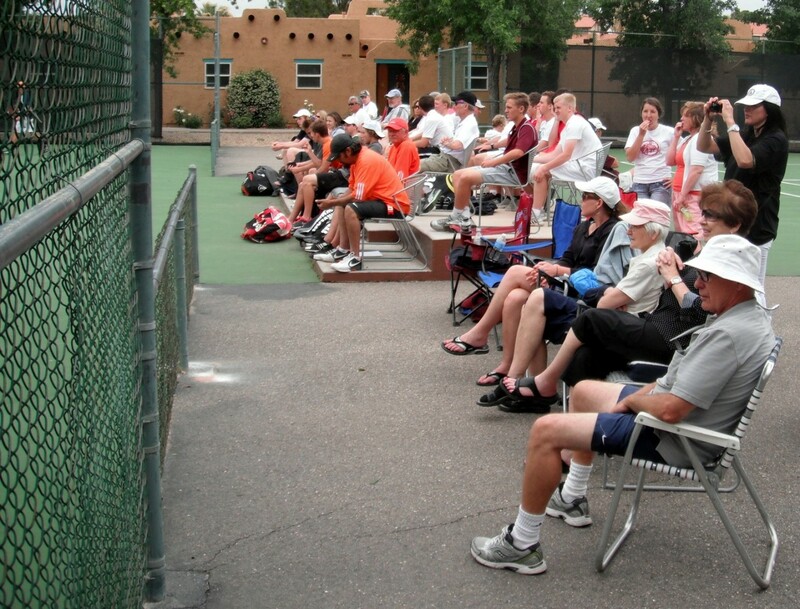 There is a possibility that State will be held in Southern Utah again next year, or in 2015. 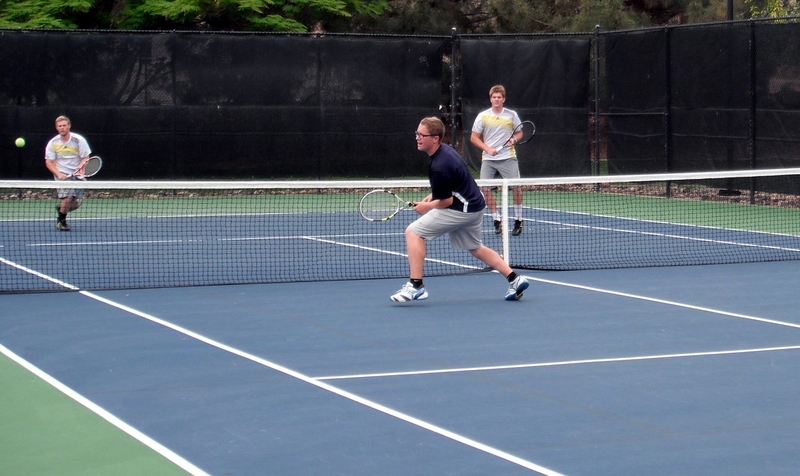 An alternating schedule is being considered by the UHSAA, in which State would be held at BYU one year and in Southern Utah the next, and so forth. Meyer said no exact plan has been determined yet, but coaches and players have already formed their opinions. “I like State being here as long as it’s not 100 degrees,” Reyner said. 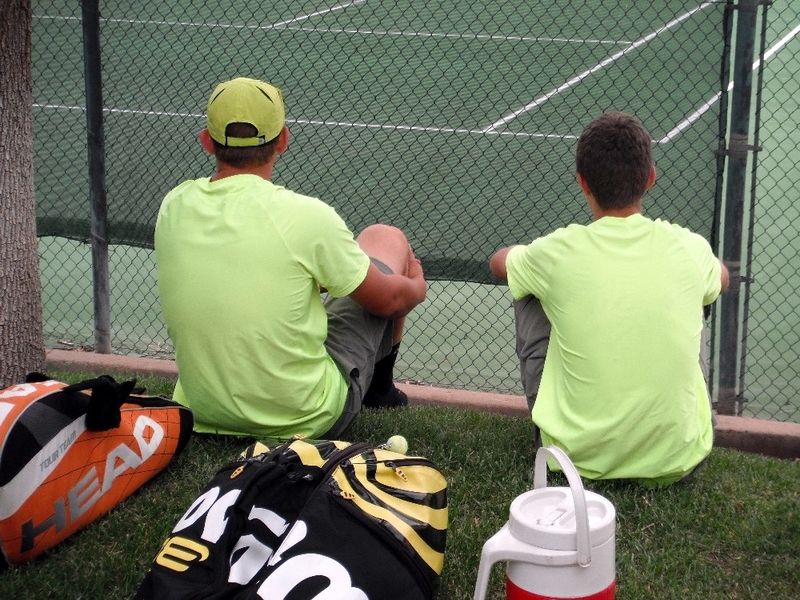 The weekend was filled with intensely competitive matches between the best high school players in Utah. 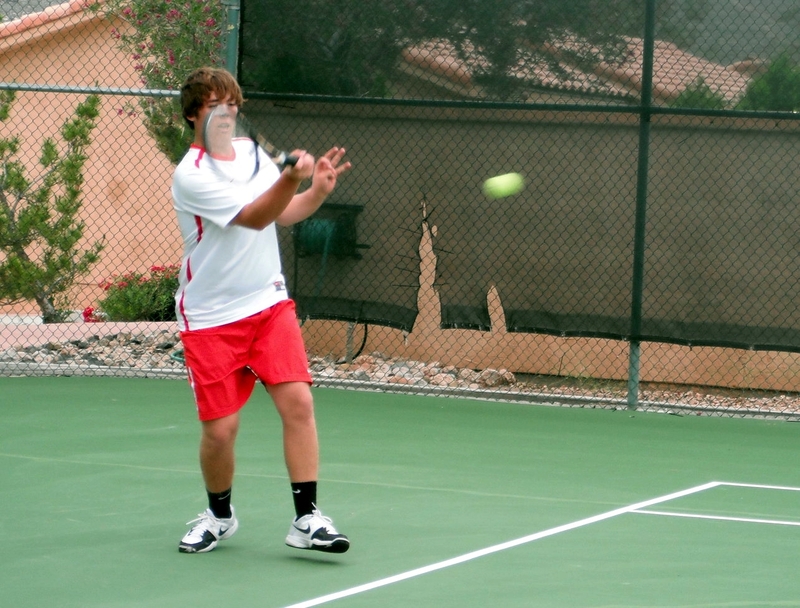 Singles were played at Green Valley and doubles at Tonaquint. 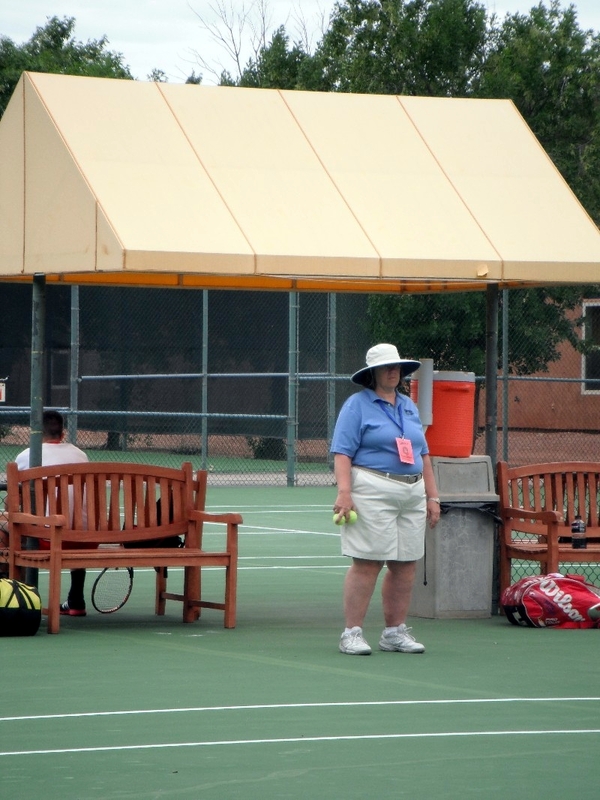 The bustle of checking in teams, recording scores and scheduling matches was handled by UHSAA officials and each venue’s staff. 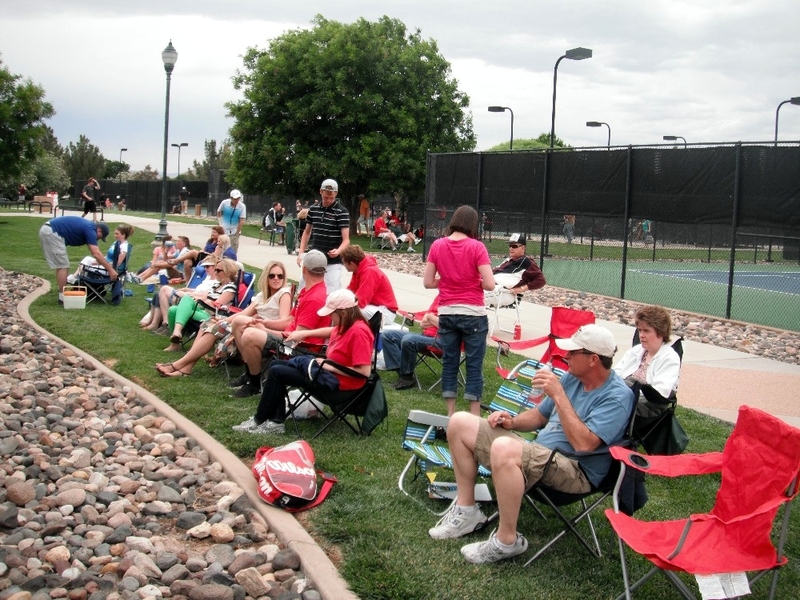 Friends and family gathered on bleachers, folding chairs and on blankets in the grass to cheer on their favorite players. 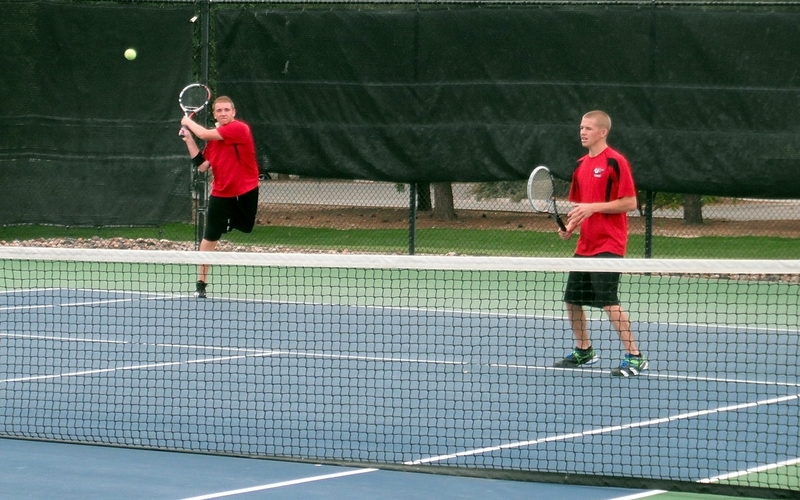 The crowd came alive during thrilling points. 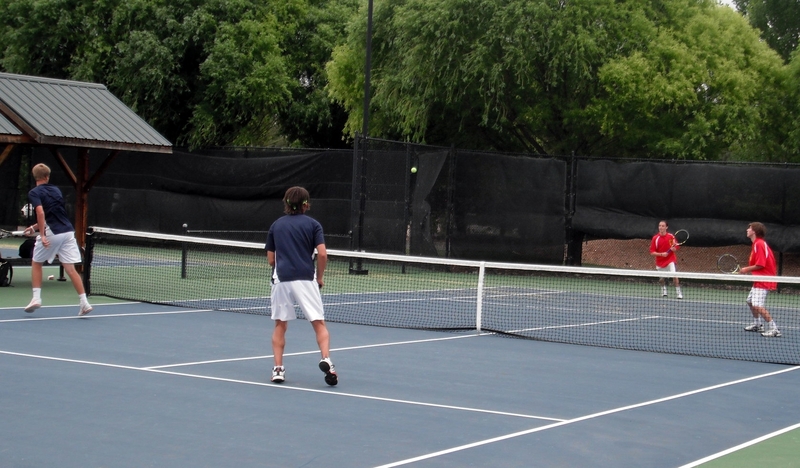 Some emerged victorious; others were left crying in the parking lot after defeat. 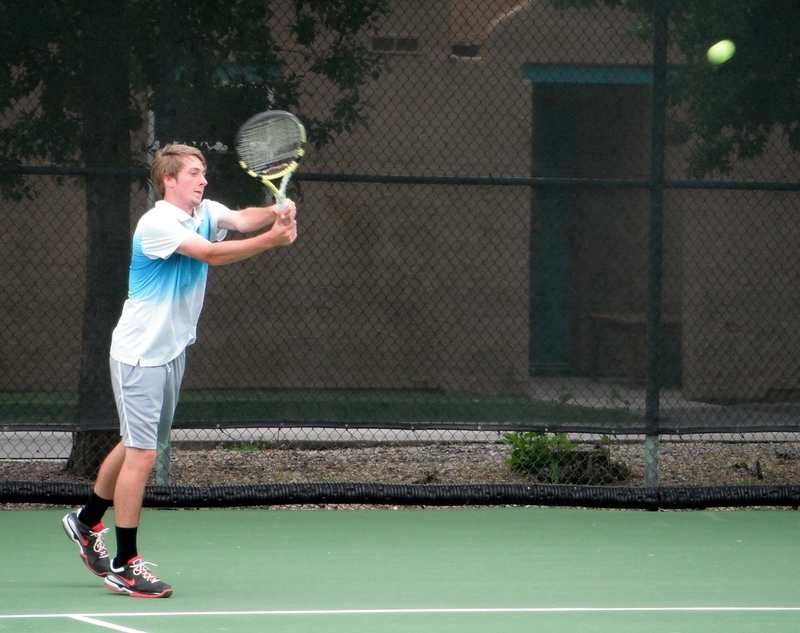 The tournament concluded early Saturday afternoon when the title was claimed by Juan Diego, led by brothers Brendan Kempin and Ryan Kempin, who charged to the win in 1st and 2nd singles, respectively. 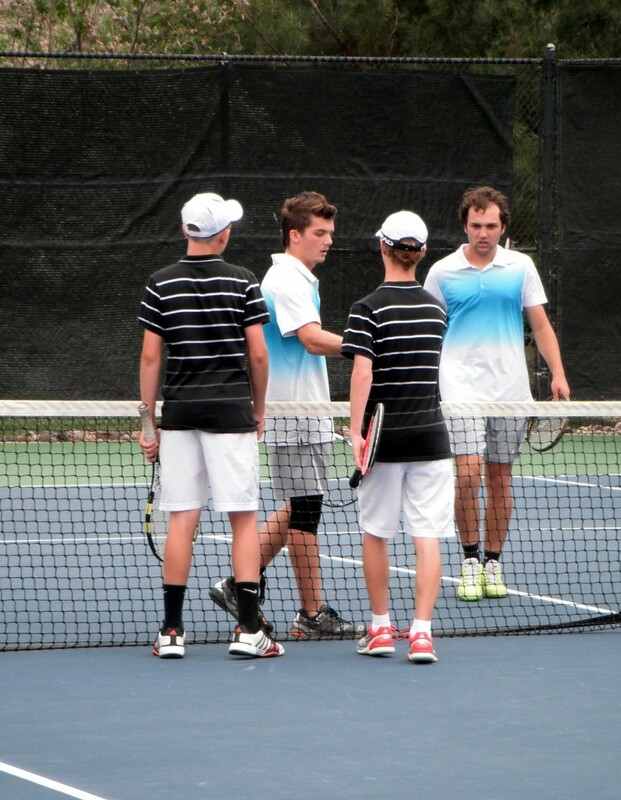 Desert Hills’s 1st and 2nd doubles teams each won an individual title to boost their school to second place, the best finish of any in Region 9. 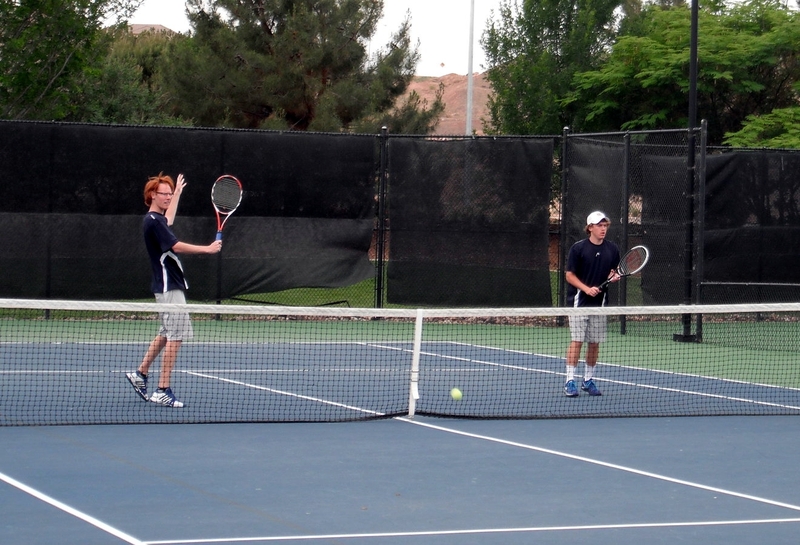 Snow Canyon and Dixie took third and fourth, Cedar City and Hurricane tied for 12th, and neither Canyon View nor Pine View qualified. 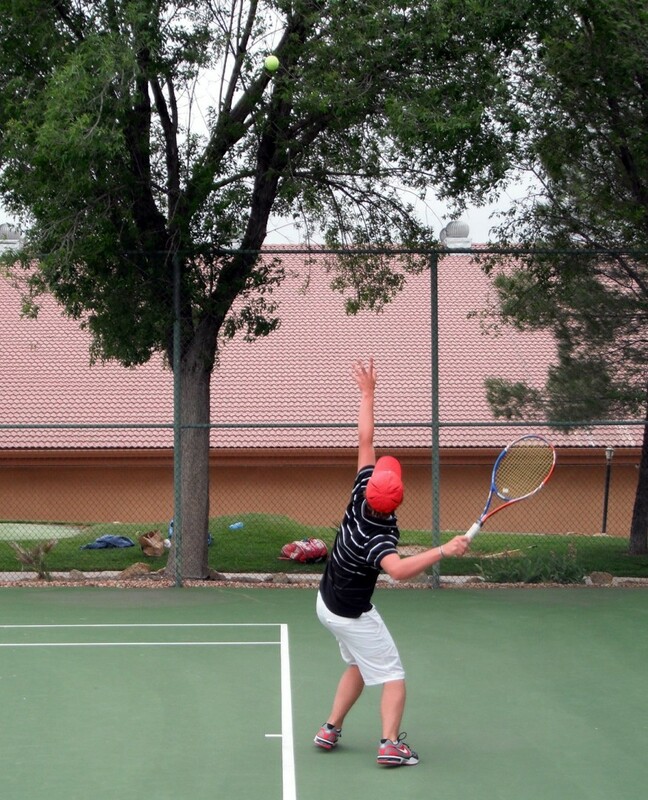 It has now been two years since a Region 9 school has won State, and reactions from coaches and players ranged from disappointment at falling short to being satisfied with their best effort.